Outstanding recruiters easily build rapport and relationships that last a very long time. An outgrowth of this recruiter characteristic is trust, both with the hiring organization and the job candidates. Great recruiters firmly believe in personal relationships, and as a result, earn the undying trust of everyone involved. In addition, these amazing recruiters possess strong communication skills and simply love to network with others. Remember that a candidate who trusts his or her recruiter are far more likely to divulge mutually beneficial information to help determine when an accurate “match” exists. 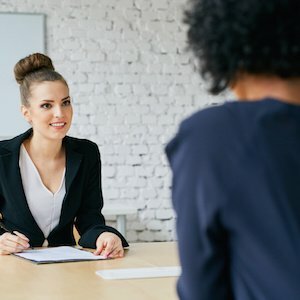 Hopefully this list has sparked some ideas for better evaluating recruiter characteristics and understanding their importance. Hiring the right people for the right seats on the bus is no small feat. Make sure your recruiter is ready for the task! This entry was posted in Blog and tagged hiring, job search, talent management on March 22, 2018 by Kevin Sheridan.